Signs and billboards are a common sight along the roadside. They control traffic, give directions, draw attention to businesses, and advertise products or places. Such displays are so ubiquitous, in fact, that they often help define a highway’s identity just as much as the landscape, the cars, and the pavement. 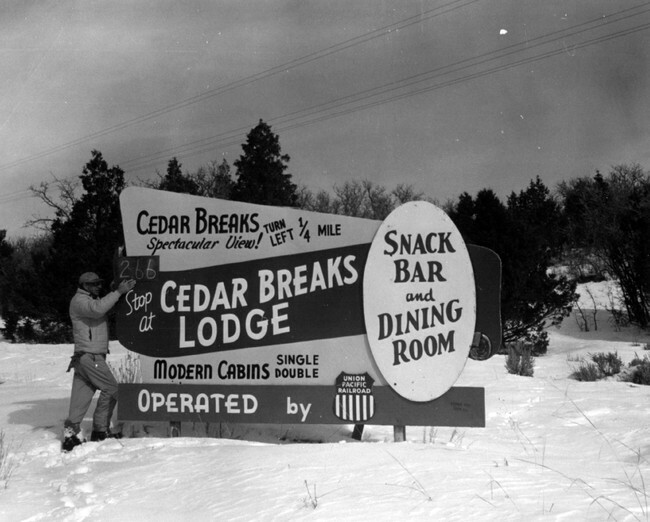 Over the years Highway 89 has boasted thousands of signs, from painted plywood advertising national parks to flashy neon directing motorists to motels. This exhibit provides a sampling of such signs, many of which have long been taken down but are nevertheless an important part of the Highway’s history.